I am betting they added these because of the success of their macaroni and cheese. According to a known mac and cheese fancier, my friend Cathy, who is a known macaroni and cheese fancier, it is pretty good. So they are trying three more kinds, and you can get them by themselves (more on that later) in a small size with a cafe soup or salad, or a large size with a cafe soup or salad. Well, at Knit Knight I had the pesto sachettini, with a Ceasar salad, and a chunk of baguette. The small combination is $8.29 and the large is $9.99. I find that to be a kind of questionable value. Even better, I stopped at Panera near work the next day because I of course forgot to pick up a copy of the flier that had information about the pasta on it, and I wanted to get one more kind, so I could have sampled at least 2 different kinds before I wrote this review. Without the salad or soup (you still get the bread) – a little tiny bowl of pasta is $7.79. Holy catfish. They are making money on this hand over fist. However, I guess it about in line with their other prices, which I do not consider to be a bargain. This is my opinion and my opinion only. Our knitting group is meeting at Panera, at least temporarily, and it is refreshing to have something different to order. I will try the tortellini next week so I can have a complete report. On to the actual food. At Knit Knight I had the sachettini pesto. The sachettini are little “purses” full of cheese. 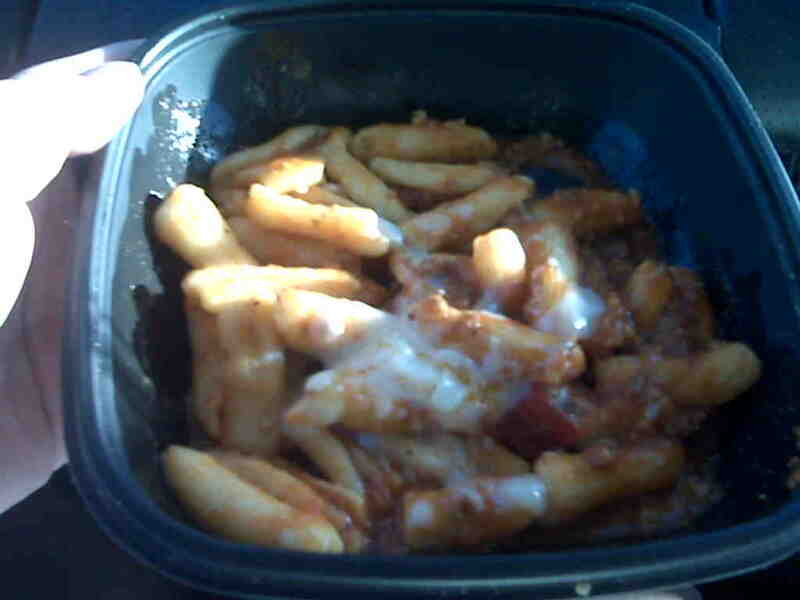 They say there are six different kinds of cheese in there, but it was just kind of bland and cheesy. The pasta was well past al dente. I wasn’t wild about the pesto, because I like my pesto pretty strong, but it turned out to be pretty strong later when it was repeating on me all night (is that a tactful way to say that?) Maybe I was just drinking too much soda. One of my other friends tried it too and she gave it a seven or eight out of ten. I gave it a 5, better than Fazzoli’s but worse than Noodles and Company. If you don’t want a soup or salad with it. So, that soup or salad is valued at about 40 cents if I am remembering the prices right. So, my recommendation is: If you are tired of the “Pick two” option, you can try this one for something new and get pasta instead, with a soup or salad. Next week I may even try the ‘large’ tortellini to see how large it is. The sacrifices I make for the reading/eating public. But I wanted to get something out there because Google is remarkable lacking in information. So, here it is! Worth a try, especially the bolognese. 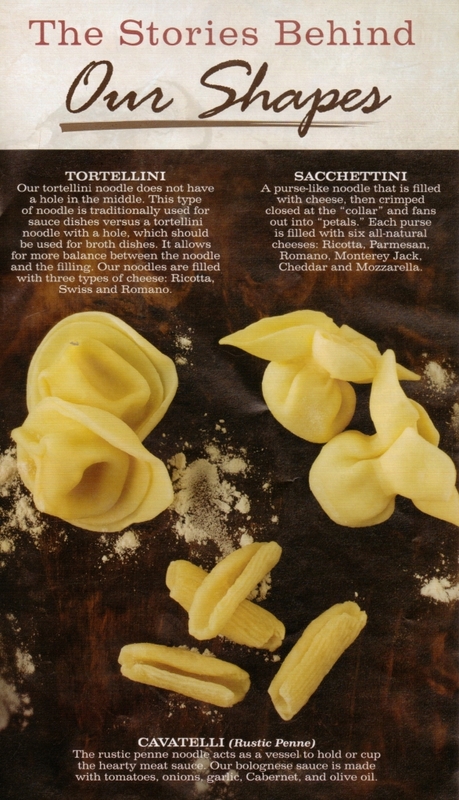 I will report back next week on the tortellini. Great taste, at least on the bolognese, maybe not such a great value, but decide for yourself. This entry was posted in Panera Bread Pasta, Restaurant reviews and tagged Denver restaurant reviews, Food, panera bread pasta by glenderella. Bookmark the permalink. I have a hard time eating anything pasta in an eatery of any kind. It seems such a waste – you can make most of them at home for pennies and you have to pay mega $$$$$$$$ someplace else? If I’m going out to eat, I’m going to eat something that is hard to make at home or is a favorite and expensive at home … steak, shrimp, crab. Thanks for doing this!! 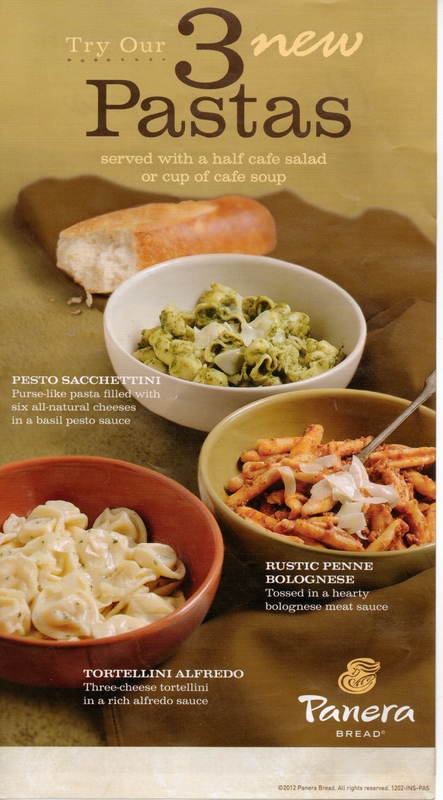 I was excited to see Panera added more pastas to their menu, but they literally no information or description about these new additions other than the name! I guess I could have asked, but we all know how the line at this place gets around lunch time, so I just went with an old fav (the frontega chicken mm..). I’ll definitely have to try the Rustic Penne, looks delish.